We have two hot deals which you should definitely check out right away. One’s a discount on the Apple TV 4K while the other one is also the same but for the Apple Pencil. Any discount on an Apple product manages to grab our attention the most since it commands a premium price tag on a regular day anyway. So a slight discount, whenever it comes through, must be shared with our readers immediately. 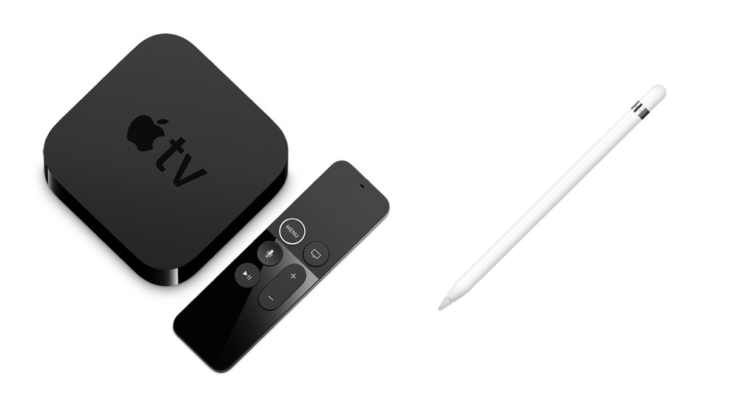 Today we have two price drops on two of Apple’s most popular products: the Apple TV 4K and the Apple Pencil. The Apple TV 4K, as you can tell from its name, is capable of pushing out 4K content with HDR and features a powerful set of internals. Even if you have a 1080p TV at home, then this is still a good deal as you get the powerful internals that come as part of the package. Things are topped off with Siri under the hood so you can search through content using the power of your voice and the bundled Siri Remote. The Apple Pencil, on the other hand, is a great tool for creators and works with Apple’s entire range of iPad Pro products as well the newly released iPad 6. Though the price drop on this one might not sound like much, but such discounts on Apple’s stylus are extremely rare. Hit the links below and grab the deals today before they are sold out.